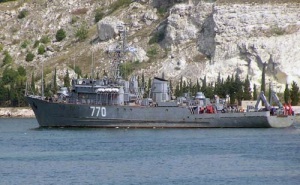 Valentin Pikul (hull number 770) is a Project 266ME ocean-going minesweeper. Valentin Pikul (serial number 878) was laid down at Sredne-Nevskiy shipyard in 1990. Launched on May 31, 2000. Commissioned on January 20, 2001.